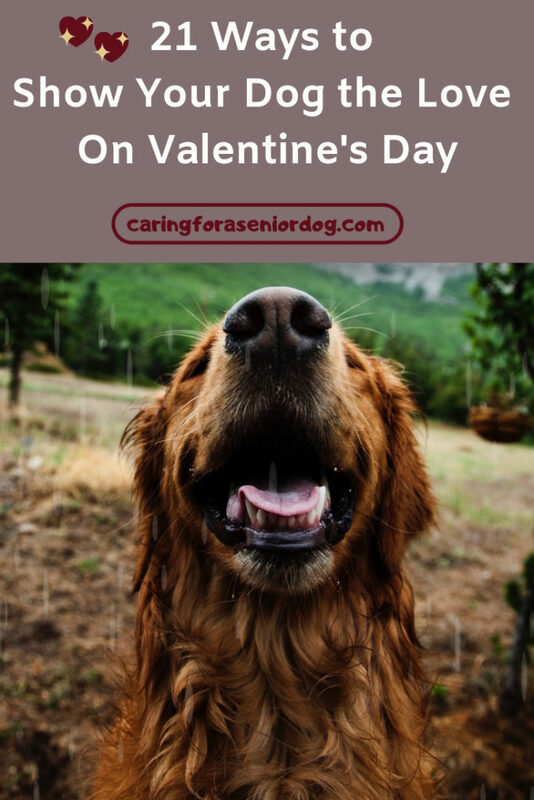 No senior dog parent needs Valentine’s Day as an excuse to show their pups how much they love them. They’re so well taken care of every day of the year, there’s nothing more we could possibly do for them…or is there? My husband and I don’t do anything for Valentine’s Day, we don’t even acknowledge it, and before you all start feeling bad for me, here’s why. I wouldn’t want my husband to feel obligated to buy me something simply because the date on the calendar says he has to, and vice versa. I don’t think he loves me any less because he doesn’t buy me overpriced flowers or chocolates, or waste money on an inflated meal just so we both feel we “celebrated.” It means a lot more if he randomly does something for me because he chose to, and wasn’t pressured to. Despite my obvious feelings about this day, I do think it’s a great idea to use it as another excuse to acknowledge just how much we love our furry family members. Pop in to your favourite dog bakery and grab some heart shaped cookies, or go big and order a special heart shaped cake. Buy one from a human bakery for yourself and enjoy some decadent dessert together. I know, you don’t need Valentine’s Day to remind you to buy your pup a present, but it’s still a good excuse!! Does he need a new sweater or coat? A bed? Puzzle toy to keep his brain active? How about a charm to add to his collar or a fun new ID tag? There are some adorable tags out there with super cute messages. There are more and more dog friendly eateries popping up, so why not enjoy a cup of coffee or a meal with your favourite pooch beside you. Some even have special dog menus so he can eat as well. My husband and I took our dog Jack out to lunch recently, and he loved it. We had such a delicious meal, and Jack was happy snuggling on the big comfy couch. I can’t remember the last time I spent such a relaxing couple of hours. Maybe you’re feeling like getting away from it all, even if it’s just for one night. Check yourself into a dog friendly hotel and enjoy. Some even have doggie daycare so you can go off on your own and enjoy the hotel’s amenities or local sights. Stay local or visit another city or town, how far or near you stay is up to you! Do a search for local events in your area. I know they’re typically a summer time thing, but you never know!! More for you than for him, writing down how much you love your dog and the joy he has brought into your life is a beautiful expression of the love you share. Why not read it to him, just don’t forget the Kleenex? You spend as much time as you can with your dog, but life gets in the way. On this day why not clear your calendar and set aside a block of time for the two of you (or more if you have them!!). Don’t check your phone every five seconds (yes I’m guilty of that as well), don’t rush your dog when he sniffs every blade of grass (like mine does) and just be in the moment. If the weather allows where you live, take a break in an outdoor café or on a park bench, bring snacks and drinks for everyone and recharge. Old dogs can absolutely learn new tricks, and training sessions are not only fun for fido they are a great bonding opportunity for both of you. I don’t like to bake or cook, but I have made my dogs treats and I’ll tell you what, they absolutely loved them!! There are literally tons of homemade dog treat recipes on Pinterest, many of them super simple so why not make your dog a batch and really show him the love. Really hate baking? How about some doggie ice cream instead. Easy to make and what dog doesn’t live it! February is Pet Dental Health Month, so make it the day you book that appointment to check on his oral hygiene and overall health. That really will show him the love. Sure you love spending time alone with your dog, but if you’re craving some 2 legged company go on a double date with a friend and his or her dog. 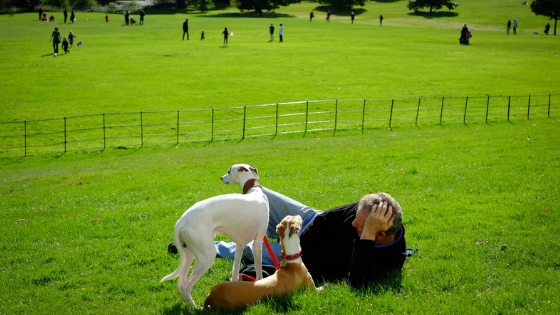 It could be a meal at a pup friendly restaurant or a walk in the park, whatever you decide as long as it’s fun for all of you. Whether it’s agility, flyball, nose work or just fun and games, find a class that will suit your dog’s ability and take him for a fun hour or two. Who knows, he may love it so much you’ll make it a weekly activity. Skip this idea if your dog is like mine and hates, but tolerates the groomer. 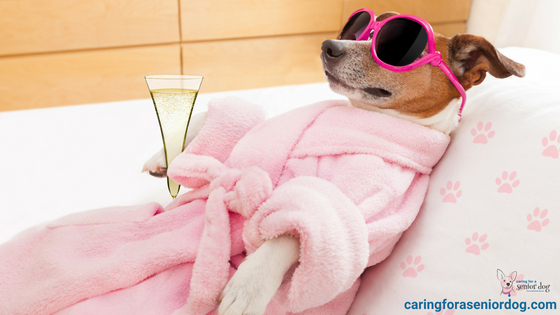 If however he or she loves being pampered, take him to a doggie spa for some serious pampering. Visit a pet supply store and let your dog choose what he wants. Does he smell something particularly yummy you can’t drag him away from? Has he set his sights on a new toy he’s practically ripping off the shelf? Buy him something he picked for himself. Maybe wrap it up and enjoy seeing how excited he is to get at it! Have a movie waiting for you to hit the play button? Get comfy in your pjs, a bowl of popcorn, a drink and cuddle on the couch with your 4-legged sweetheart by your side. Don’t forget the doggie popcorn! If it’s been too long since your last trip to his favourite dog park, Valentine’s Day is the day to get back there. Your pup got lucky the day you brought him home, sadly others aren’t as lucky and are still waiting for their forever homes. Make a donation in your dog’s name and help a homeless animal. Whether you stop by with a cheque or bunch of stuff from their wish list, they’ll be grateful for the sentiment and your generosity. There may be a trail you’ve been wanting to try, or it’s been too long since your last hike, perhaps Valentine’s is the day. 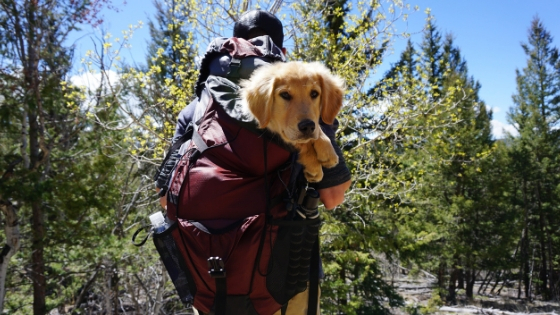 If he gets tired and is easy enough to carry, have a look at this backpack! My dog loves a massage, and he can sit on my lap while I gently give him a rub for an hour easily. Have you ever given your dog a massage? It’s not only relaxing but also great for those with joint issues. Check youtube for “how to” videos or speak to your vet or chiropractor for tips. Have you seen those companies that deliver a box of dog goodies to your door every month? There are so many out there to choose from, how do you even know which one to pick? Why not put one together of things you know your dog will love, wrap it up and watch him tear into it. Don’t forget to take a video as he not so carefully pulls every fabulous treat, toy or accessory out of that box. Now that’s a fun way to celebrate the day! Does your dog love a good brush? Wonderful, it’s the perfect way to spend quality time doing something he enjoys, and it’s great for bonding. Dogs don’t know what the heck day it is! You’re absolutely right. Your dog has no idea what Valentine’s Day is, to them it’s just another fabulous day spent with the one(s) he loves the most! 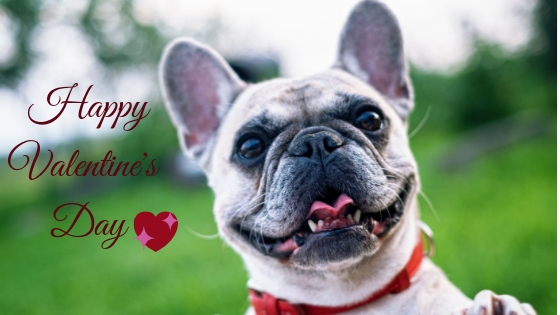 How will you celebrate Valentine’s Day with your pooch? We’d love to know so tell us in the comments below. Sharing helps others so please leave a comment below, or on my Facebook page. My husband and I don’t give gifts too often either, after all these years we’ve given each other everything we can think of LOL! These are great ideas and I love that you included donating to help other pups who are not so fortunate. I may make some special treats and we’ll definitely take the dogs out for a day of extra LOVE! I usually make a donation to some type of animal rescue for special occasions. My husband always tears up when I do that and they need the money more than he needs the stuff!! Have a fun day out with the pups! Great post! My fiance and I don’t do much to celebrate Valentine’s Day either, especially so because our dating anniversary is in March so we tend to celebrate that together rather than Valentine’s Day. Usually we’ll do something free/cheap that we can include the dogs in, like going on a picnic or all snuggling up to watch a movie. That’s stuff we do often anyways, but it’s still a fun way to celebrate Valentine’s Day without feeling like we’re going overboard. Sounds like the best way to celebrate! Sounds like it’s Valentine’s Day every day in your home! Lucky Cookie!! I always felt like that about Red. I can’t imagine what else I could have done for her! I’m not sure if I realised you were Canadian. Where do you live? I’m from Montreal but lived in Toronto for many years. My most favorite is to write a love letter! 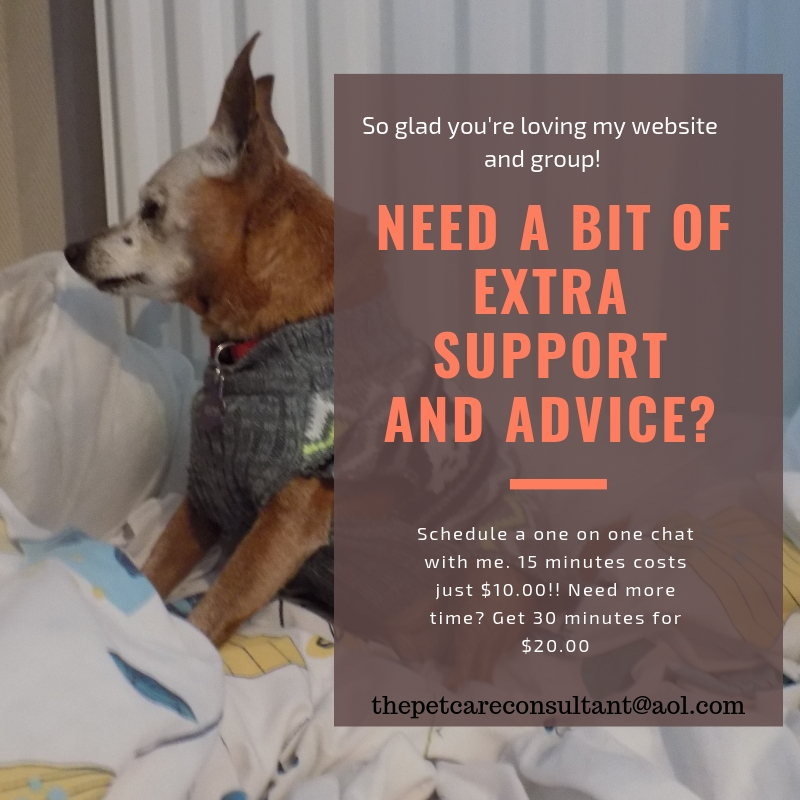 Truly getting connected to your feelings that you have for your pet is something that will surprise you – and it will keep on giving you love, long after the pet has passed. I wrote one in an article after my heart dog Red gained her wings. It’s a beautiful idea to write one before. Aww I’ve heard of many of these ideas and they are all great, but I never thought of a love letter. That’s a great idea and a lovely memento to keep long after they earn their angels wings to remember them by. I agree, a love letter is something you can cherish always. To be honest I’ve never done anything special for Valentine’s Day for the animals either…perhaps I should change that. I’ll be interested to hear how you celebrate with Layla! Valentine’s Day is a great excuse to celebrate love, whether human to human or human to animal. You have some great ideas here for some ways to celebrate that bond with a senior dog. I hope you and your dog (and your husband) have a great Valentine’s Day. Thank you, and enjoy the day as well. I don’t to anything special for Valentines’s day although I know some people love to treat their pets. If your cat is insured within an inch of its life and fed well and gets lt’s of love I think its a gift every day. I love the way you say “insured within an inch of its life.” That’s hilarious, but I wasn’t laughing at the huge bill we got when my dog suddenly became paralysed and we didn’t have insurance. Yikes!! I’m with you about showing love every day of the week. It was always nice to be remembered on Valentine’s Day, but I’d much prefer the attention throughout the year. I wouldn’t want someone to show me they love me on a day they’re almost “forced” to, and I know we show our furry family members how much we love them every day. I agree with you Dorothy, I think it’s such a sweet idea and one that can serve as a keepsake. Of course we’d all be crying our eyes out as we write! Kilo would love treats and hugs and learning a new trick for treats. He equates food and attention with love. It makes things easier when they’re so food motivated. Like Kilo, Jack is also happy to learn new tricks as long as there is food involved, especially cheese!